Last week was celebratory with Lohri, Makar Sankranti, and special anniversaries. This also means that I gorged on a lot of delicious food that essentially did not contribute to my health and wellness quotient. I get my love for food from my father, who always pampered us (and himself too :)) to the yumminess of street food in Allahabad, (a city in Uttar Pradesh famous for ‘Prayag’, the confluence of the Yamuna, Ganga and Saraswati rivers) where we spent our childhood. Today is a special day, celebrated as a big ‘Nahaan’ (an auspicious dip in the holy river, Ganges) in Allahabad and we would ‘always’ get a day off school on this day. Some of my fond childhood memories revolve around the famous ‘Churmura’ in Civil Lines followed by a walk to ‘Softy Corner’. 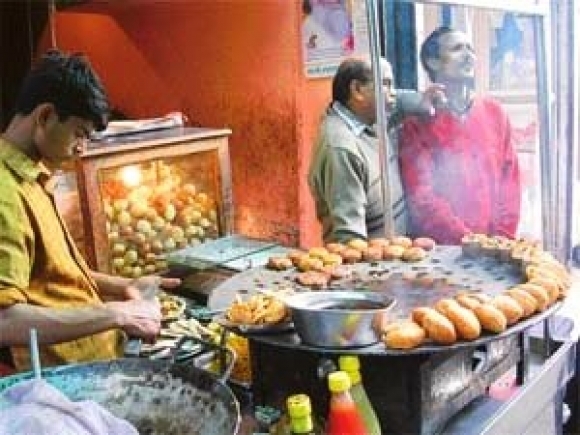 Ok, there are many more…so enjoy the lovely street food of Allahabad as I reminiscence the ‘good old happy days’, when there was immense joy in the simple things of life, and eating ‘Netram Kachori’ along with ‘Motichoor laddoos’ was a special treat. One way that you can describe it is ‘it’s to die for’. 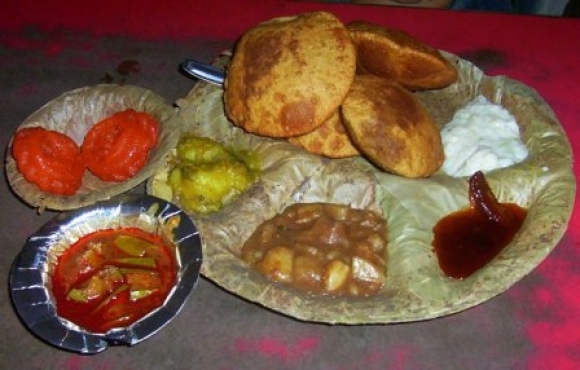 Don’t go by the photograph, the kachori, along with the sabzi, raita, pickle and ‘sonth’ or red chutney is sinful! Just the thought of it gets me salivating 🙂 So, if you do go to Allahabad, you definitely must try this. In spite of not being a big fan of crowded Katra when I was growing up, I would go to Netram’s crowded shop for the yummy treat without any excuses. Follow up the meal with ‘Motichoor’ or ‘besan laddoo’, or any other sweet you prefer. 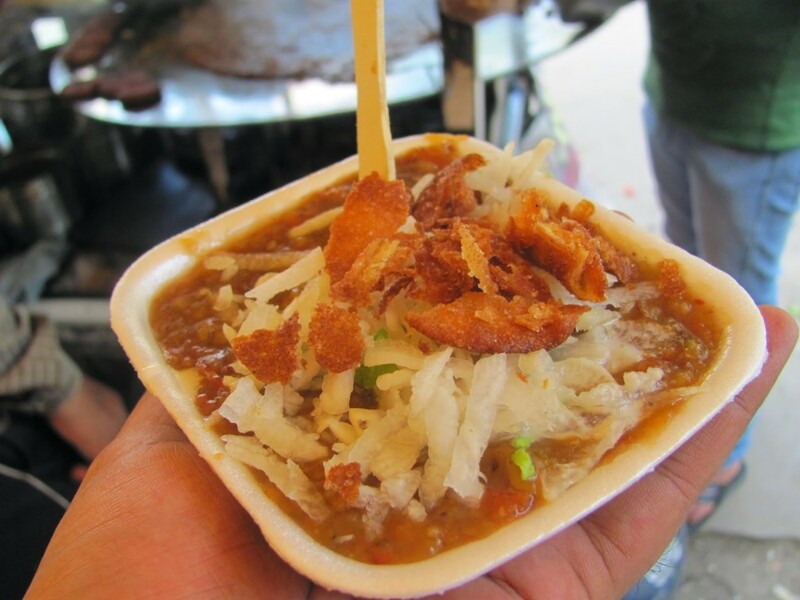 You’ve got to eat it to believe how delicious chaat can be. Made of desi ghee (and this makes a big difference), the ‘aloo tikki’, ‘dahi-sonth ke batashe’, ‘papdi chaat’ and of course the ‘gol gappe’ have maintained the deliciousness quotient over the years. If you’re a ‘chaat lover’ like me, you should visit this place. In fact, just go to Loknath for a delicious-fare all around you. You must be wondering that it’s the same chaat fare, but you have to try the chaat here – the 3 course gol-gappas, specially with Sagoda ka pani. 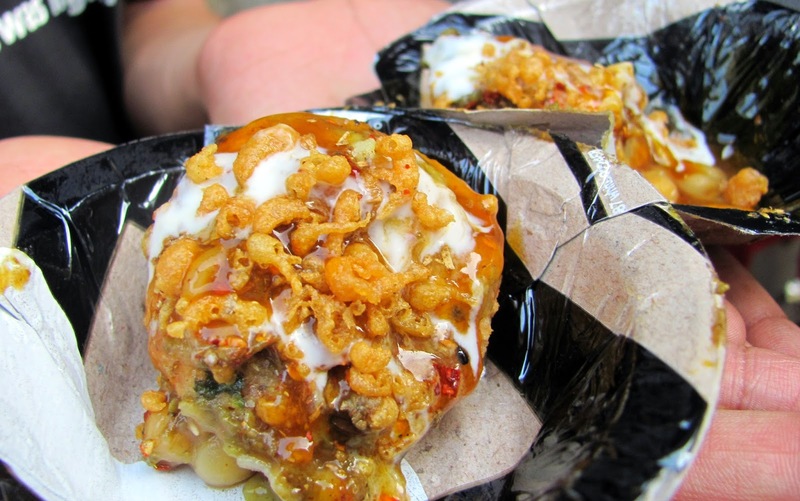 Do try the ‘Khasta‘, a variation of the kachori, as it is layered up with spicy and sweet chutneys, yoghurt and boondi. My favourite here is the Aloo tikki. It’s probably the best Aloo-tikki you can ever have. Shambhu makes them himself, and he decides the proportion of dahi-chutney and other masalas churning out plates of heavenly chaat in a jiffy. This is very, very different from the regular chaat you get. I had no clue how this is made, but read this brilliant article that describes the recipe. Get it here. 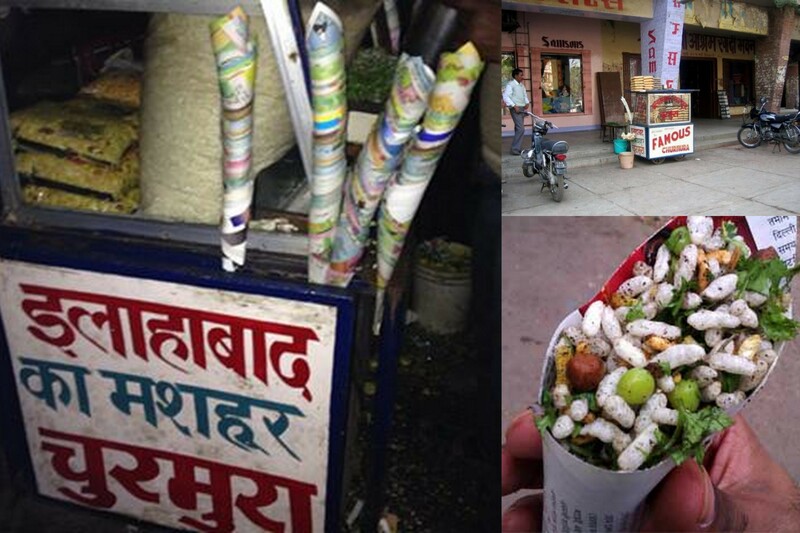 For a chaat pilgrimage, you really have to go to Allahabad. The next best would be to read this beautifully written piece here by Gangesh Verma. 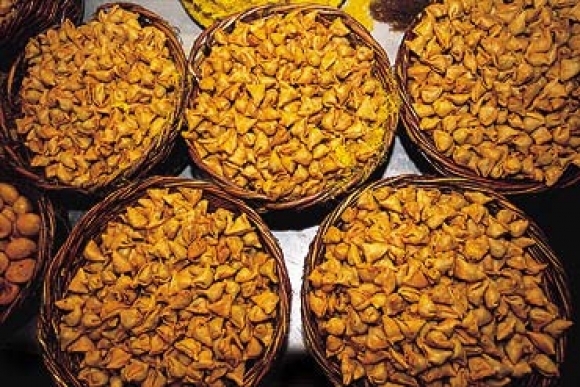 Made of ‘murmura’ or ‘laiya’, this tasty treat was and still is a star attraction of Allahabad. Going to Civil Lines and not having Churmura was ‘unthinkable’. Right at the main crossing in Civil Lines, opposite Samsons and Khadi Gramodyog, the ‘Churmura’ cart can be found. I had it a few years back when I had gone to Allahabad, and it is still the same as I remember it when I was in school. Don’t confuse it with Bhelpuri, it’s quite different though the ingredients are very similar. Round the corner in Ashok Nagar (where I spent the first few years of my life), is Sainik’s famous shop selling probably the best Samosas in all of Allahabad (and a lot of other cities together, but I ain’t any food critic, so I wouldn’t claim that). 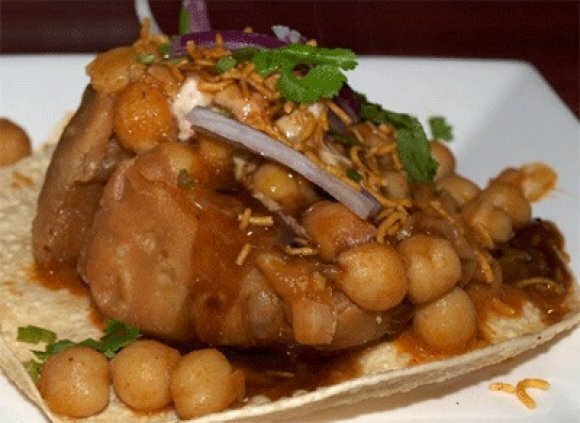 If you like a bit of a ‘chaat’ twist to it, ask for the chhole samosa. The Samosa is smashed, chhole added, along with some red chutney or ‘sonth’, onions, coriander and some fine ‘sev’ as garnish and you have a delectable treat. I found this recipe for chhole samosa, so do try it out if you haven’t had this before. Of course, for the authentic Sainik Chhole samosa experience, you will have to go to Allahabad, as his flavour is unparalleled. Well, I love Samosas as is evident, but Hari Namkeen in Allahabad makes samosa’s without the key ingredient, potato. Like they say, the ‘aloo-less’ samosa can be kept for days and still is fresh and delicious whenever you eat it. That’s a guarantee that the shop gives! Some trivia that you will find interesting – Located in Loknath gali, you’ll find a large yellow frame printed with “Allahabad ne lagaya thappa aur banaya Hari Ram and Sons ko No 1 samose wala” just as you enter the small shop. The miniature aloo-less masala samosas were creatyed in the 1890s by one Mutthilal. Shri Ram Purwaha, the only remaining member of the family’s second generation, says: “My grandfather, who came from Agra, started out by selling samosas on a plate. And when my father Hari Ram took over, we started this shop.” You can get delcicious ‘daal-moth’ too here. I have fond memories of Dahi-jalebi and Samosas arriving at our home from Hira Halwai when all our cousins had gathered at our home for spending summer vacations. Food, fun and frolic! While the samosas are good, the jalebis are better…but the best out of the lot are Gulab Jamuns. They are so soft, and melt-in-the-mouth. 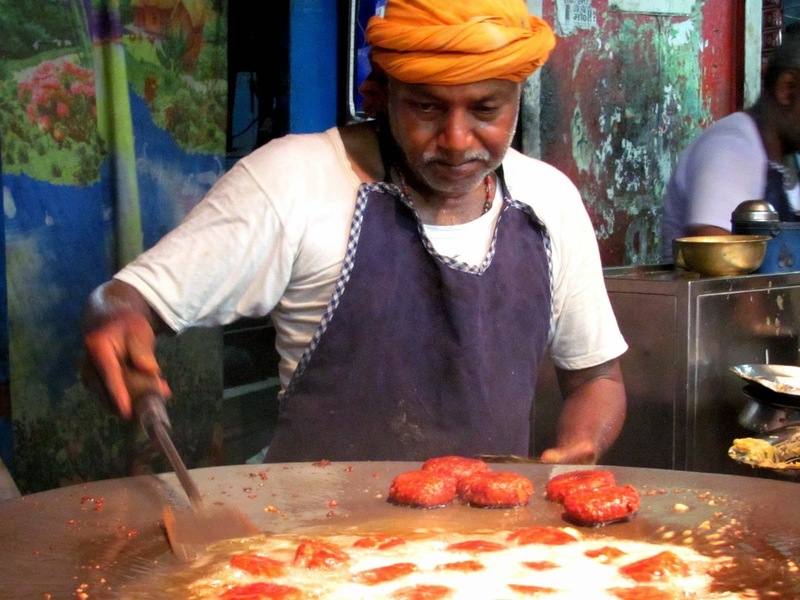 There are so many other names that come to mind, like Raja Ram’s Rabri and Kulfi, Radhe ki Thandi Fruit cream, Sulaki Lal ki Balushahi and Jalebi, Bhagwandas ke motichoor laddoo, and so, so many more mouthwatering treats that are very special and unique to Allahabad. I possibly cannot miss ‘Lucky Sweet Mart’ in Civil Lines. I sign off with this video from Highway on my Plate, where Rocky and Mayur take you through the busy street of Loknath. Enjoy the food and the local Allahabadi way of talking. Still there and going strong! I have arrived in Allahabad recently for knowing Kumbh 2019 better. I love to explore local food. This post has definitely given me some checkboxes to tick off. Thanks! Hey Priya! Glad you found this useful – Allahabad has some delectable food! Hope you have a lovely time!